Experience the precise control of dual convection cooking – no hot or cold spots, just consistent heat across all racks, and predictably delicious results. Choose the design style that matches your kitchen: contemporary, transitional or professional. 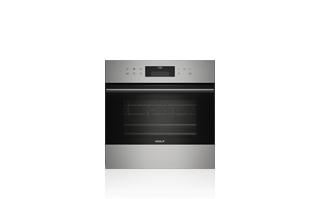 In 76 cm single and double ovens, and new 60 cm single oven. 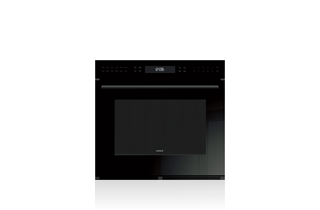 To create a beautifully coordinated suite of Wolf appliances, the built-in ovens are designed to be installed in a "tower" configuration with other Wolf cooking products, including the convection steam oven, drop down door microwave, and warming drawer. 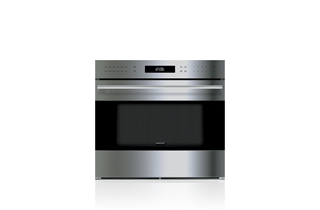 At just 60 cm wide, our new built-in oven fits into the smallest condo or galley kitchens. Yet it delivers the exceptional cooking performance you'd expect from Wolf. E Series ovens come in 61 cm and 76 cm widths.